I am so excited to participate in the first ever Global Design Project challenge. This international team of STAMPIN’UP demonstrators is made up of some of the most talented stampers in the world. I am so proud that two of my team members, Brian King and Shawn De Oliveira are two of the design team members! This weeks challenge is a color challenge using 3 colors that I love together, Smokey Slate, So Saffron and Pink Pirouette. 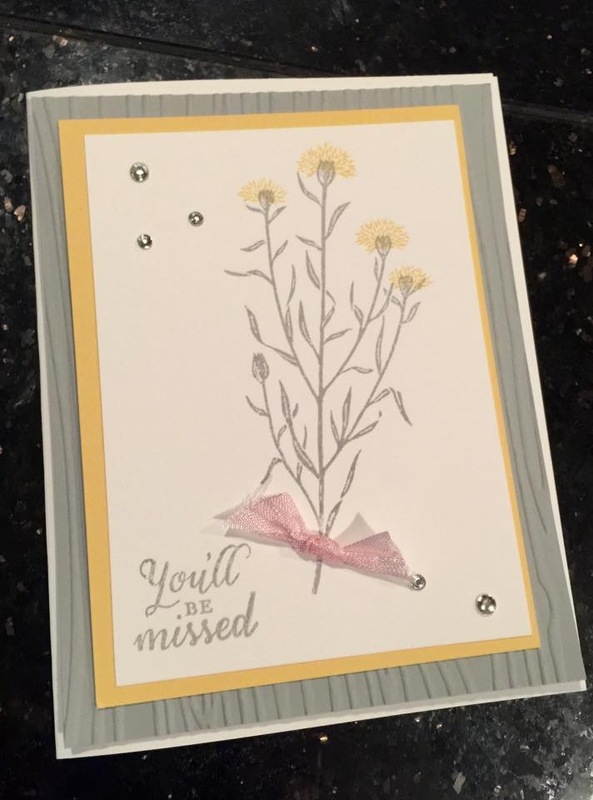 I used Wild About Flowers from the Annual Catalog. I love love love this set!